Kennedy Town’s Davis Street (or ‘little LKF’ as the K-Town crew call it) continues to be the Western district’s coolest little enclave with this hole-in-the-wall pizzeria opened by the guys behind Cépage and Singapore’s Les Amis. 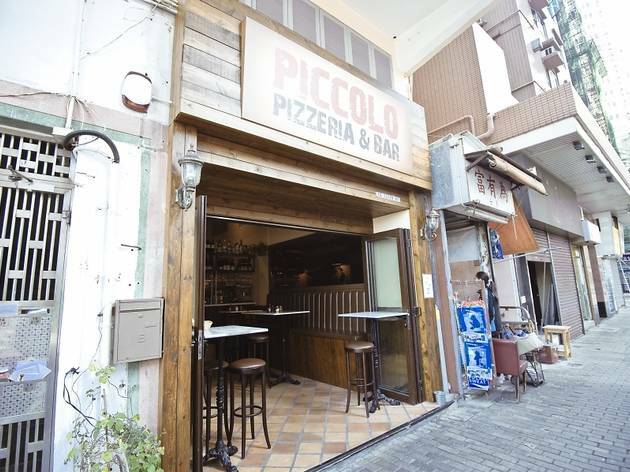 Sandwiched next to The Pier bar, Piccolo seats around 30 in a tight narrow space with a high ceiling and an open kitchen at the rear (the dinky bar sits dead centre). We visited on a Wednesday night and were welcomed by its happy staff (seriously, they seem to get on famously) while perusing a minimal but mouth-watering menu. 1E Davis St, Kennedy Town, 2824 3000. Sun-Thu midday-midnight & Fri-Sat noon-2am. Dinner for two: around $350.